Want a burger with that milkshake? Tom Ritchie appreciates winning Inlander readers' pick for the region's best milkshake — truly, he does! 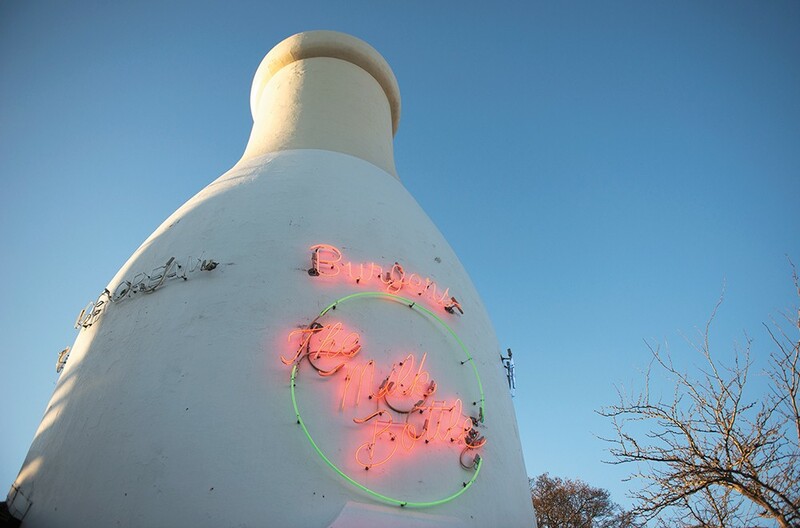 — but the man who took over Mary Lou's Milk Bottle from his parents Ed and Kris after their 20 years of ownership hopes those milkshakes act as a gateway to the rest of the homemade menu items at the historic spot on Garland Avenue. "I just had a group of guys in here yesterday who all said, 'These are the best burgers in town!'" Ritchie says. "Why can't we win that category?" Ritchie is fighting history on that one, because Mary Lou's Milk Bottle is certainly best known for its incredibly creamy ice cream and the milkshakes in a sinful array of flavors. Ritchie's favorite is the chocolate chip mint or cookies 'n' cream, while his wife likes the chocolate and peanut butter blend. Customers lean toward huckleberry and the chocolate-forward River City Sludge. No one knows more about Mary Lou's ice cream than Tom, except for maybe his mom; the duo have made most of the house ice cream for several decades now. The key to that ice cream's distinct creaminess, and in turn those towering milkshakes' deliciousness, he says, is using one of the highest butterfat creams he can find. Freshness is also key, Ritchie says. "Some places [the ice cream] sits frozen for a long time," Ritchie says. "I made ice cream yesterday that I'm pulling out [for customers] today." The freshness factor also figures in ice cream additions like bananas, and across the menu with Mary Lou's freshly made burger buns and never-frozen, hand-pressed patties. It would take a lot of burgers sold to reach the Inland Northwest consciousness the way Mary Lou's milkshakes have. Ritchie says the restaurant goes through 80-90 tubs of ice cream a week in the winter for its array of shakes, sundaes and scoops, and about four times that in the summer. The original print version of this article was headlined "Best Milkshake: MARY LOU'S MILK BOTTLE"